Our log cabins are ideally located to explore the highlands and islands of the west coast of Scotland. There are many attractions within a short drive from Dalavich. To follow is a list of local attractions that we would recommend visiting. Oban – Nearest large town, approx 23 miles away. Often referred to as the gateway to the Isles, from where ferries sail to Mull, Iona, Staffa & Colonsay. 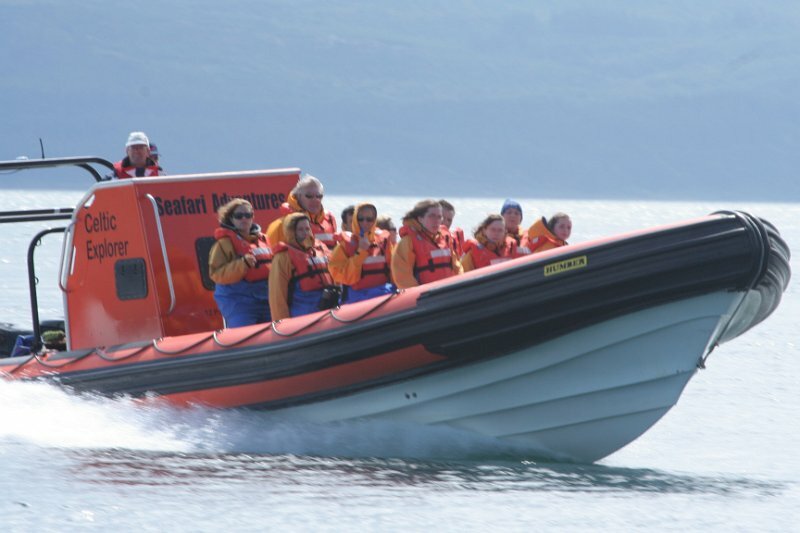 Seafari & Sealife Adventures both do excellent sight seeing, wildlife and whale watching trips from Seal Island, near Oban. Cruachan hollow mountain power station. 40 minutes from Dalavich, a great tour around the workings of the hydro power station within the mountain. Good trip for a rainy day. Oban Sea Life Centre and Seal Sanctuary. Approx 45 mins from Dalavich. A great day out for all the family. Loch Awe Smokery, near Taynuilt. Fun trip and good food. http://www.kilmartin.orgKilmartin House Museum. Find out more about the areas history & archaeology. Award winning restaurant. Glencoe, Fort William & Ben Nevis are also close enough for a day trip. Horse Riding at Achnalarig Farm And Stables, Glencruitten, Nr Oban. Other local attractions include Bonawe Iron Works, West Highland Railway (from Fort William), Crinan Canal & Oban Distillery. Keep an eye out for locally advertise Ceilidhs and Highland Games in the summer months. This is by no means an exhaustive list of the many things to do in the area. There is additional tourist information within all our log cabins.